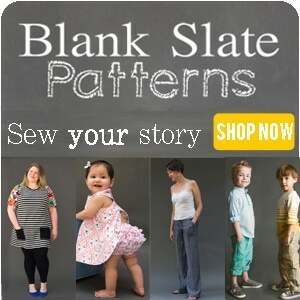 One of the challenges in sewing for men and boys is that so many of their garments seem to include collars! 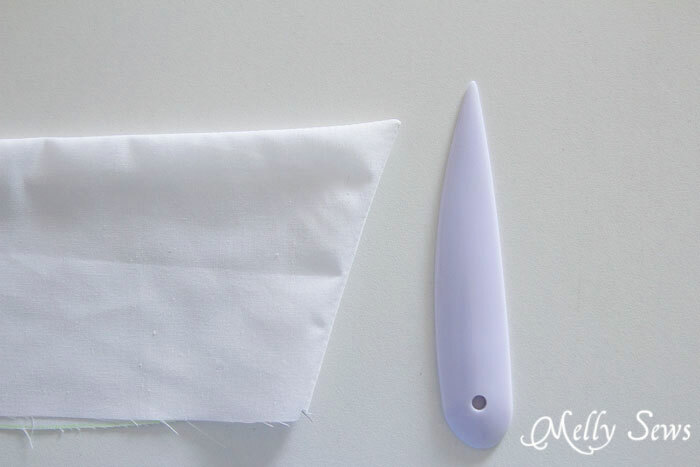 So today I’m going to show you how to sew collar points so they turn out nice and sharp. 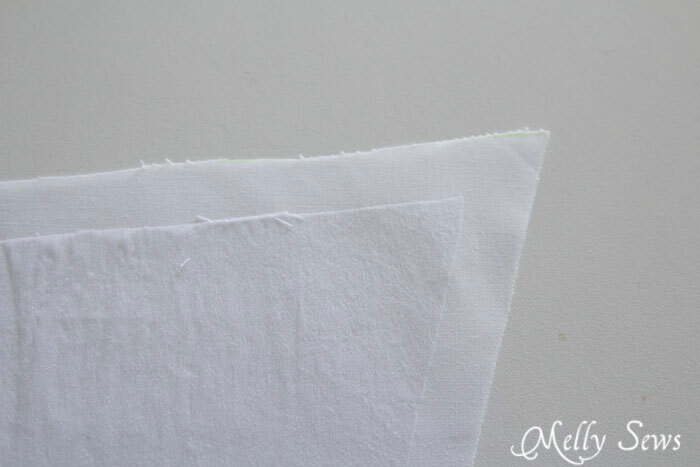 Start with your collar interfacing – cut it to the seam allowance size, so that there isn’t any interfacing in the seams. Next, when you get to the corner, stop with the needle down at the point. But DON’T turn all the way to the next side. 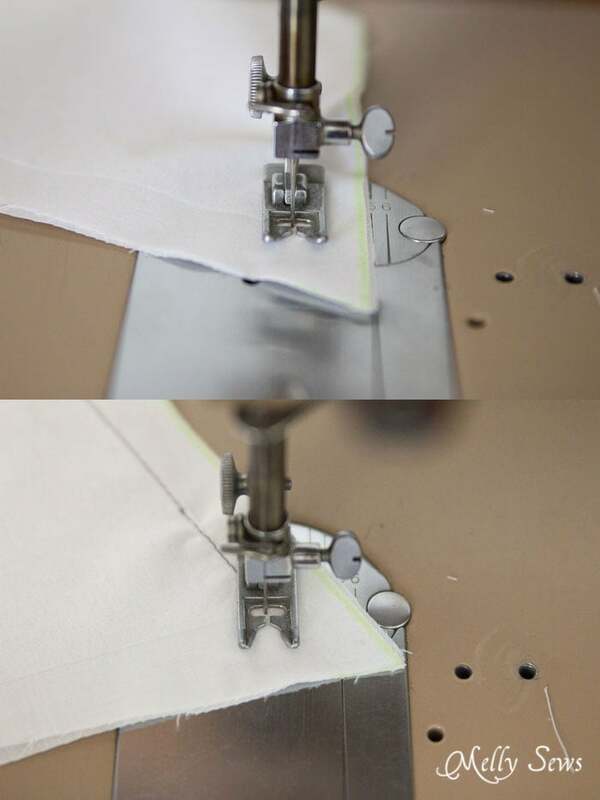 Instead, turn your fabric 45 degrees and hand crank ONE stitch across the corner. It seems counterintuitive, but this will get you a sharper point that turning the whole corner. 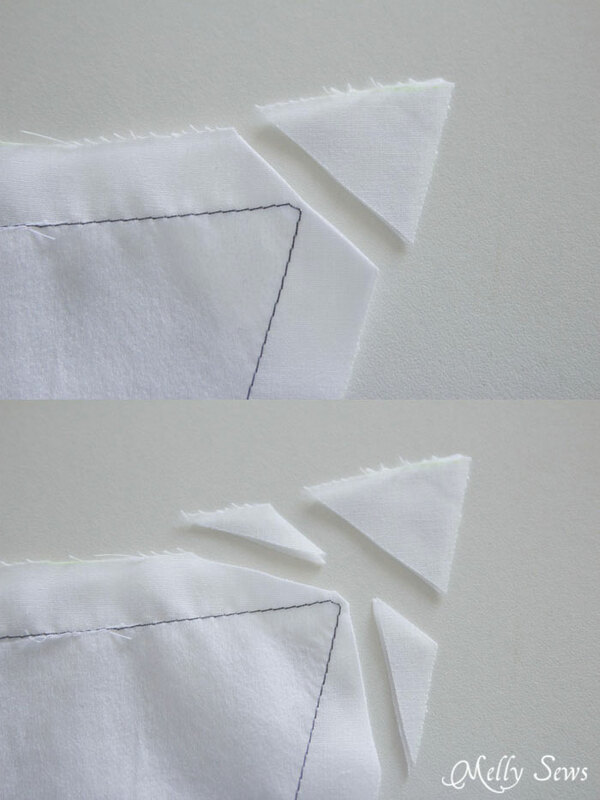 The last tip is while clipping the corner. First cut off the corner as close to the stitching as possible, like you probably do normally. But then cut two more triangles off on each side of the corner. 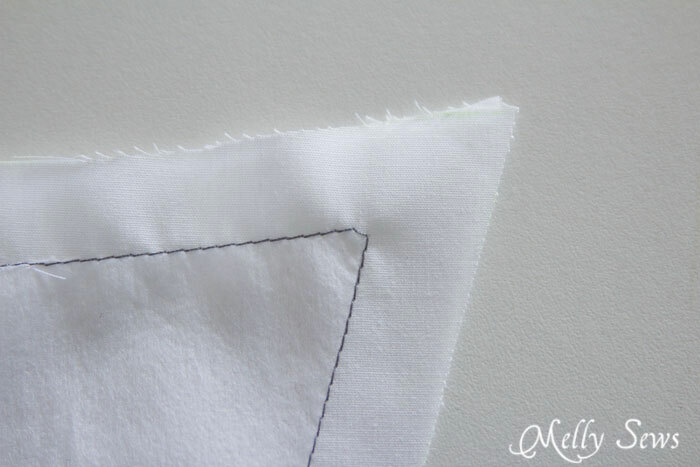 This extra reduction in fabric at the corner also helps make sure that corner comes to a nice point. Finally, a point turner tool can be very helpful. I use this Dritz Point Turner Tool (affiliate link) that is also helpful in getting seams to lay flat when pressing – I can get it a lot closer to the iron than my fingers. So there you go – a teeny bit more time on your collar, but these tips should help you get nice, sharp points. 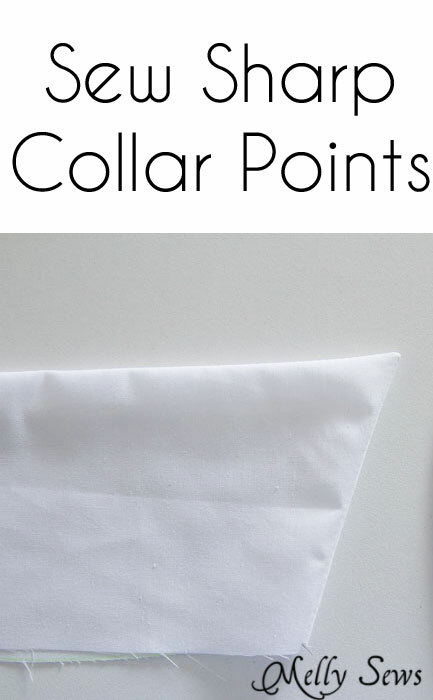 I love a sharp point on collars, it is the first clue that it is probably handmade or cheap. Your tip will certainly help me achieve that nice pointed look. Thanks! Your method is EXACTLY what I was taught in college over 50 years ago as a student in fashion design. 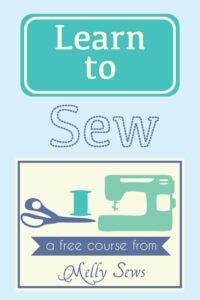 I’m amazed at how many experienced seamstresses don’t know how to do this.